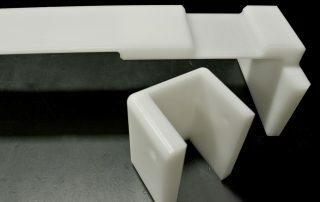 Acetal copolymer is a family of engineering thermoplastics based on formaldehyde polymerization technologies. 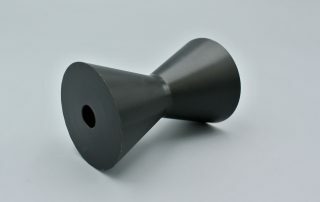 Acetals have an exceptional balance of tensile properties, shear strength, stiffness and toughness. They are natural bearing materials because they exhibit a very low friction coefficient against metals, acetal and other plastics. 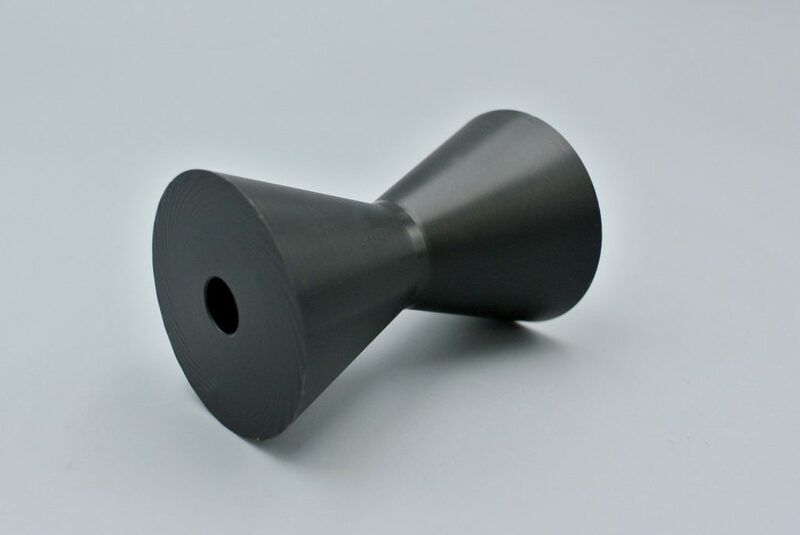 Delrin® is the brand name for the homopolymer acetal and is a highly versatile engineering plastic with metal like properties. 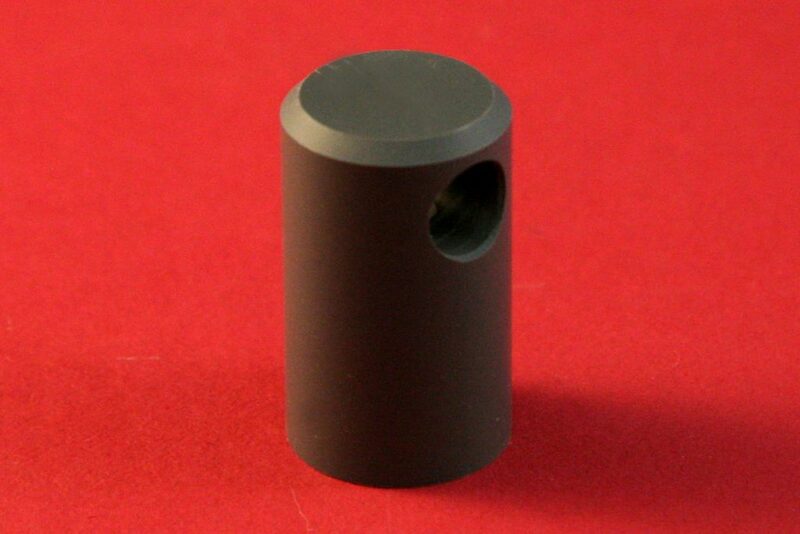 CCT Precision Machining is an industry leader in Delrin® and Acetals machining. 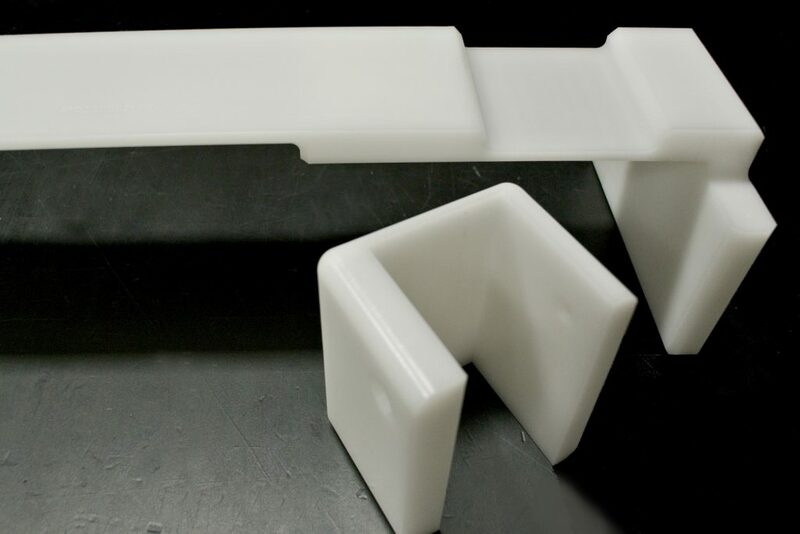 We are able to maintain tolerances, create features and produce parts that even the material manufacturers deem impossible. 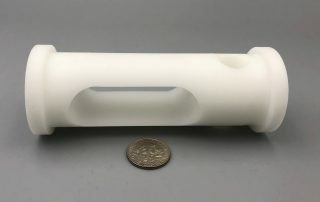 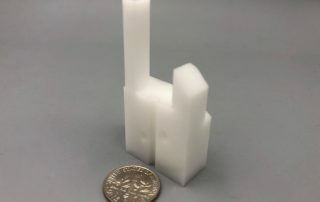 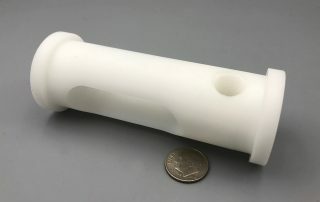 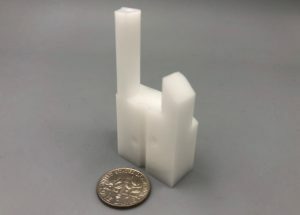 By using high speed spindles capable of turning at 30,000 RPM, tightly controlled work envelopes and cutting edge work holding systems, CCT Precision can machine thermoplastic components from the most simple part to the most intricate part on any of the 25+ machines in our facility. If precision machining of Delrin® parts is what you are looking for, Request a Quote today.